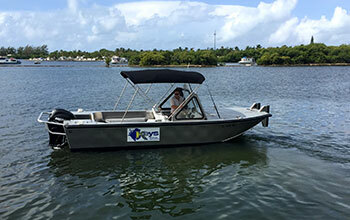 Explorer Series vessels are constructed of all-welded, marine-grade aluminum, featuring a modified vee hull with recessed cargo bay that provides a stable work platform. 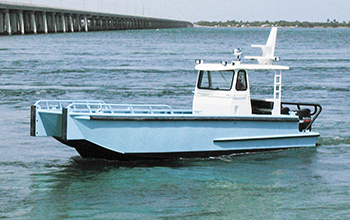 Explorer Series vessels offer high load-carrying capacity and shallow draft for loading and unloading applications. 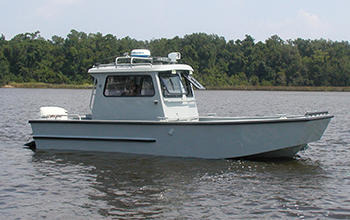 These models are available with bow-loading capabilities for landing craft, which are often used for fire and rescue or law enforcement applications.